One of the simplest ways to optimize your wireless network is to change your router's Wi-Fi channel so you can take advantage of the high-speed internet access you paid for and get more done when working at home. 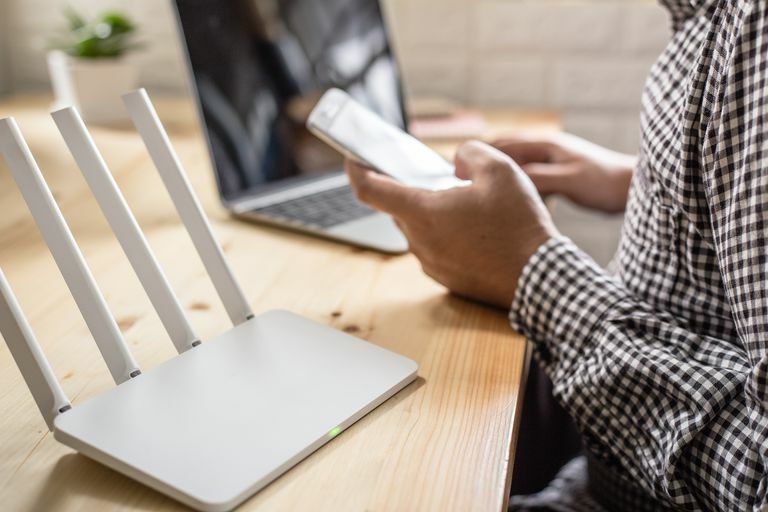 Everyone's running a wireless network these days, and all those wireless signals—if they run on the same channel as your router—can interfere with your Wi-Fi connection. If you live in an apartment complex, the channel you use with your wireless router is probably the same as the channel used on the routers of some of your neighbors. This could cause spotty or dropped wireless connections or mysteriously slow wireless access. The solution is to use a channel that no one else is using. To do that, you have to identify the channels are in use. Here's how to improve your Wi-Fi connection by finding the best channel for your wireless router. For the best wireless experience, choose a wireless channel that isn't in use by any of your neighbors. Many routers use the same channel by default. Unless you know to test for and change the Wi-Fi channel when you first install your router, you could be using the same channel as someone nearby. When several routers use the same channel, performance can decrease. The likelihood that you will encounter channel interference increases if your router is older and of the 2.4 GHz band-only type. Some channels overlap, while others are more distinct. On routers that operate on the 2.4 GHz band, channels 1, 6, and 11 are distinct channels that don't overlap, so people in the know choose one of these three channels for their routers. However, if you are surrounded by technically savvy people like yourself, you may still encounter a crowded channel. Even if a neighbor isn't using one of these distinct channels, anyone using a nearby channel can cause interference. For example, a neighbor who uses channel 2 could cause interference on channel 1. Routers that operate on the 5 GHz band offer 23 channels that don't overlap, so there's more free space at the higher frequency. All routers support the 2.4 GHz band, but if you bought a router in the last several years, it was likely an 802.11n or 802.11ac standard router, both of which are dual-band routers. They support both 2.4 GHz and 5 GHz. The 2.4 GHz band is crowded; the 5 GHz band is not. If this is the case, make sure your router is set to use the 5 GHz channel and go from there. These applications give you information on nearby channels and much more information about your wireless network. Macs running recent versions of macOS and OS X can obtain information directly on their computers by clicking the Wi-Fi icon on the menu bar while holding down the Option button. Selecting Open Wireless Diagnostics generates a report that includes channels in use nearby. If you're really looking for more channel options, you can try custom router firmware, like DD-WRT or Advanced Tomato. Both offer a wider range of available channels than most stock router firmware. Tomato even has the built-in functionality to scan the channels in your area and automatically select the least congested one. Whichever method you use, look for the channel that is least used to find the best Wi-Fi channel for your network. After you know the wireless channel that's least congested near you, head to your router's administration page by typing its IP address in a browser address bar. Depending on your router, this will likely be something like 192.168.2.1, 192.168.1.1, or 10.0.0.1—check your router manual or the bottom of your router for details. Go to the router's wireless settings to change the Wi-Fi channel and apply the new channel. You're done. You don't need to do anything on your laptop or other network devices. This one change may make all the difference for your wireless network performance.